Podcasts have become so normalized that there are pretty established genres. If you look at Podchaser, we categorize shows as comedy, true crime, society, news, etc. While there is a breadth of genres, most podcasts within each genre follow usually predictable formats. You’re gonna find lots of interviews, round-table discussions, and investigative storytelling. For many podcasts, the format feels incidental to the content. I love My Brother My Brother and Me because of the funny brother banter, not because the show’s conceit as an “advice” podcast. The premise of a podcast is hardly integral to the comedy, so when one comes up on my radar, I’m all ears. A month or so ago, I received my Maximum Fun newsletter announcing that the network picked up a new show called Dr. Gameshow hosted by Jo Firestone and Manolo Moreno. While most podcasts just instruct you to listen to them “wherever you find podcasts”, Dr Gameshow also asked for something else. It asked me to call in and submit my own game show. Curious, I immediately listened to their first episode on Maximum Fun, in which Jo describes the podcast as, “a show where we play games submitted by listeners regardless of quality or content. 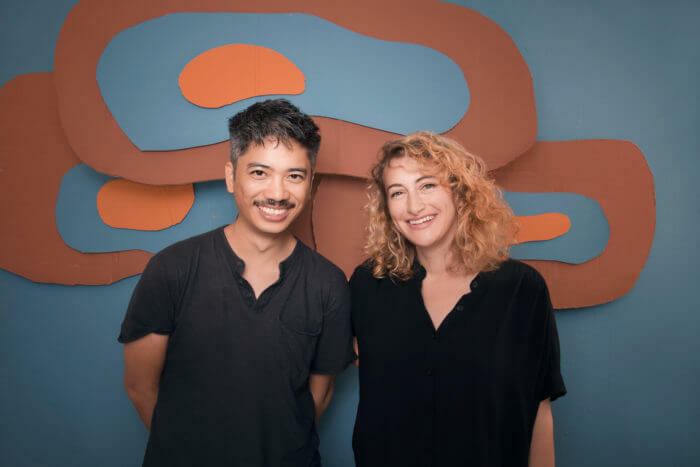 We play them with in studio guests and callers from all over the world.” Within seconds I was hooked by the duo’s contrast of personalities – with Manolo’s deadpan Eeyore energy and Jo’s feverish hosting style. Now the show is a staple of my bi-weekly listening experience, so I was really excited when I got the chance to interview the great Jo Firestone herself. She’s a comedian, writer, and actor who’s performed on The Tonight Show Starring Jimmy Fallon, Joe Pera Talks With You, and The Chris Gethard Show – so I was curious to ask how she came to be a podcast host. Jo told me that she, “applied and got a slot on New Jersey Freeform radio station WFMU for a new game show program” with the same premise as Dr. Gameshow. The only problem is that Jo didn’t have a co-host. Since that original WFMU show, the podcast moved to Earwolf and now Maximum Fun – but the heart of the show has always been the same. Every episode consists of some lighthearted chaos that’s deeply rooted in the tradition of improvisational comedy. For me, the appeal of improv is that it’s a doubleblind experiment, where neither the performers nor the audience knows what’s going to happen. In that vein, Dr. Gameshow feels like a triple blind experiment, where the hosts really embrace the mayhem. Jo and Manolo learn the games on air, improvise that game’s theme song, and then teach the game to their callers on the spot – who are also not prescreened. As if that isn’t enough of a recipe for chaos, sometimes the hosts’ special guest is a child. Technically the show’s callers are “contestants”, but that title doesn’t accurately represent how integral they are to Dr. Gameshow’s success. While on the line, the hosts treat the contestants as equals; they aren’t the side-shows but actively invited to join in the groups improv. Over time, some of Dr. Gameshow’s listeners have become regular characters, my favorite being Paco, who is best characterized by his participation in a ska cover band of Madonna called Skadonna. Jo said that her favorite listener supported games are the ones, “where people have to reveal how uniquely they think.” As an example, Jo celebrates the game “euphemize this”, where the players have to describe letters as shapes. In this game, the word CAT becomes, “crescent moon, eiffel tower, pogo stick”. If that sounds confusing, you’ll be happy to hear how in-studio guest Sandy Honig combines shapes to spell the word “carton”. 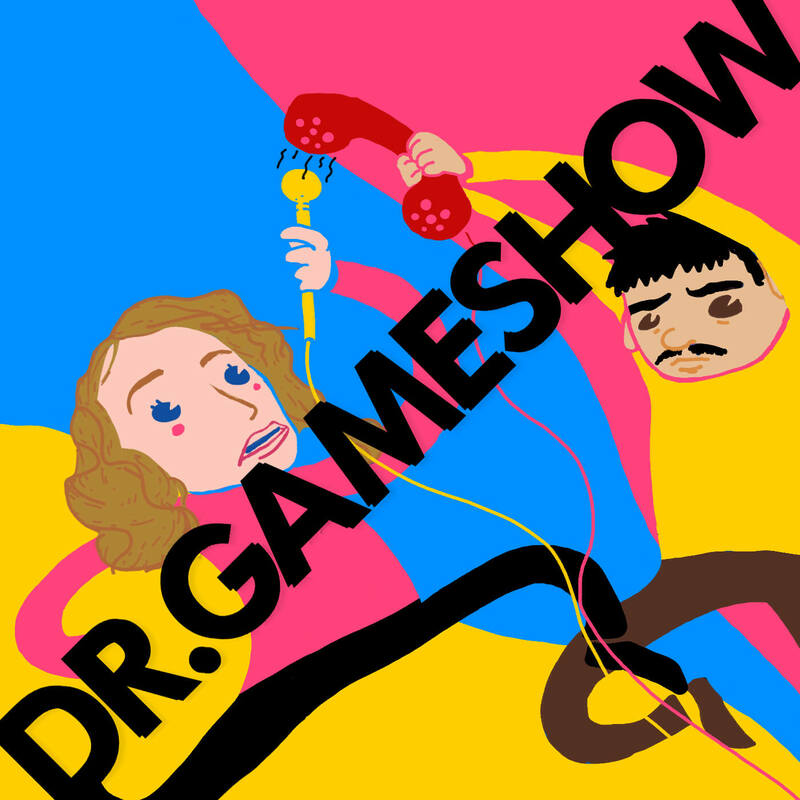 So if you’re looking for a podcast with a unique premise or just a wild ride, give Dr. Gameshow a listen and review it on Podchaser. P.S. I’d like to nominate Dr. Gameshow for best theme music.